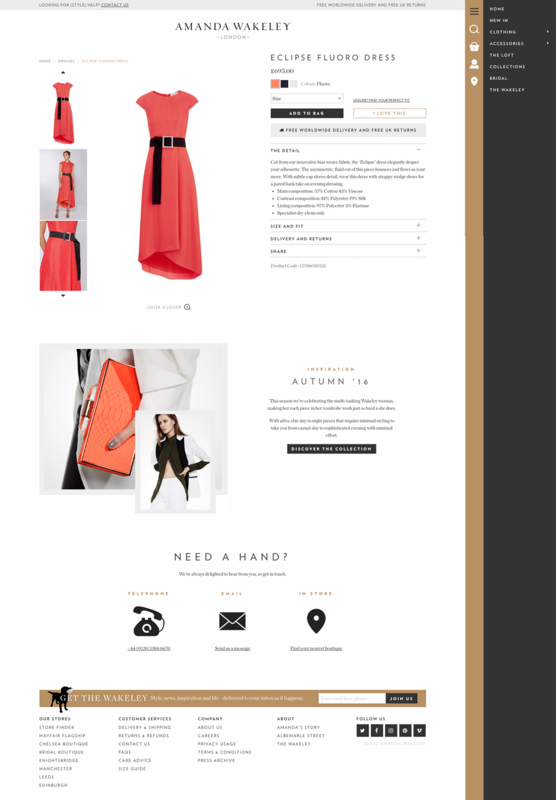 Amanda Wakeley digital store. The brief called for a revised look and feel to attract a new, younger audience while avoiding the monochrome, staid appearance of the countless fashion brands. We decided on a shift towards a more lighthearted, playful feel with greater expressions of creativity and subtle sense of humour, conveyed through tone of voice and the manner in which content is edited. The off-canvas sidebar navigation derived from mobile design, enabled greater space for the content to be the primary source of exploration, offering deeper immersion into the brand story. 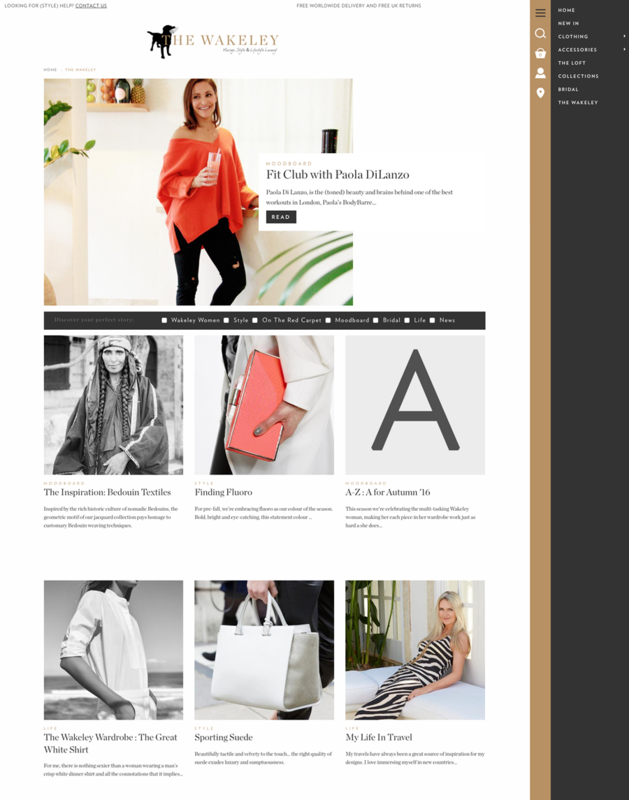 The result is a striking, original ecommerce store that brings a new approach to the traditional luxury aesthetic.